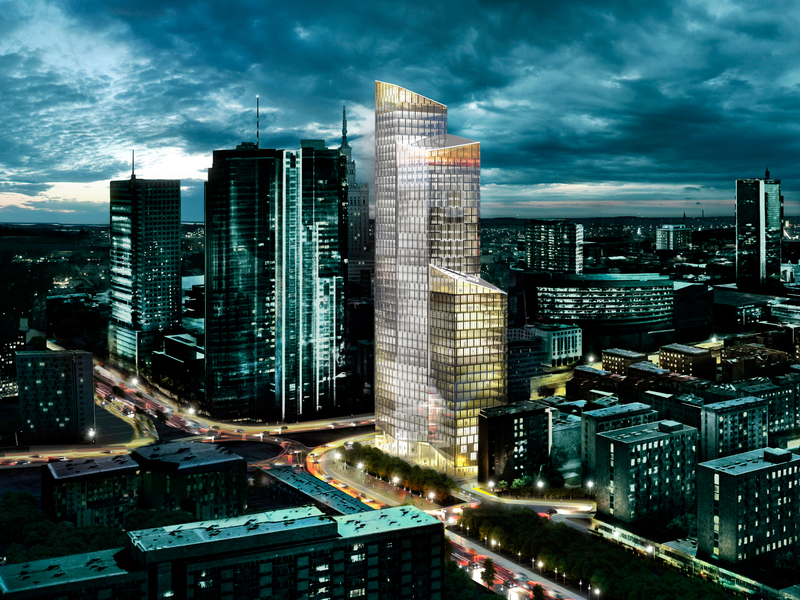 schmidt hammer lassen architects to design a 188 meter office tower in Warsaw. schmidt hammer lassen architects has won the international architectural competition to design a 188 meter office tower in the financial district of central Warsaw, Poland. The 60,000 m2 high-rise building is to replace the existing ‘Ilmet’ building and will stand out as a modern landmark clearly identifiable in the Warsaw skyline by its unique elegant shape and appearance. With a focused look at sustainability, the Hong Kong-based architecture firm lO has been developing a series of research projects aimed at improving the quality of the built environment. One project, the Indigo Tower, takes an active stance and addresses the problem of urban pollution by helping purify the air of our cities through a combination of passive solar techniques and advanced nanotechnology. The high-rise tower pulls dirt, grease and bacteria out of the air. 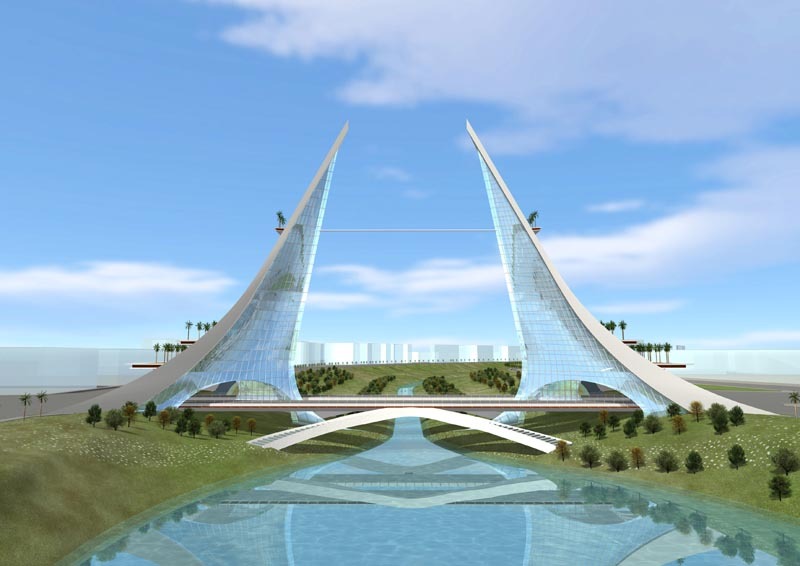 The cleansing reaction is triggered by the use of a nano coating of titanium dioxide (TiO2) on the outer skin of the tower. TiO2 is a very strong oxidation agent triggered by a photocatalyst reaction. During the day the reaction is naturally powered by sunlight acting on the titanium dioxide skin. At night the reaction is maintained by a series of ultraviolet lights that are powered by energy collected from photovoltaic panels during the day. van der Architects, a Tokyo-based architect firm, shared with us their latest project called “Opportunity Squared”. 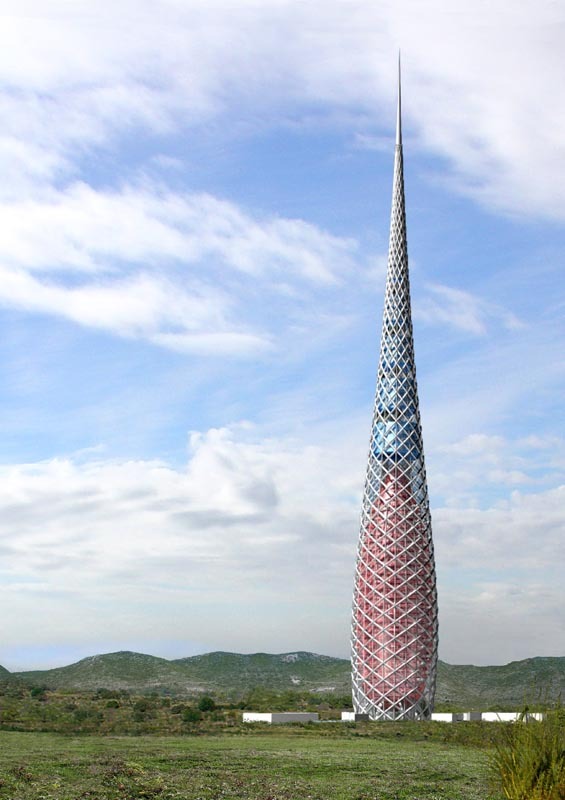 This is a parking tower with a penthouse at the top, to be built in central Tokyo in 2012. The history of skyscrapers “The Llum” has its origin in September 2001, in response to international architectural competition that aims to management of lower Manhattan in New York as a result of the disaster a year ago. This multifamily housing project consisting of 84 high level apartments, plus four luxury penthouses was constructed on a densely wooded site that included eighty-foot tall pecan trees. 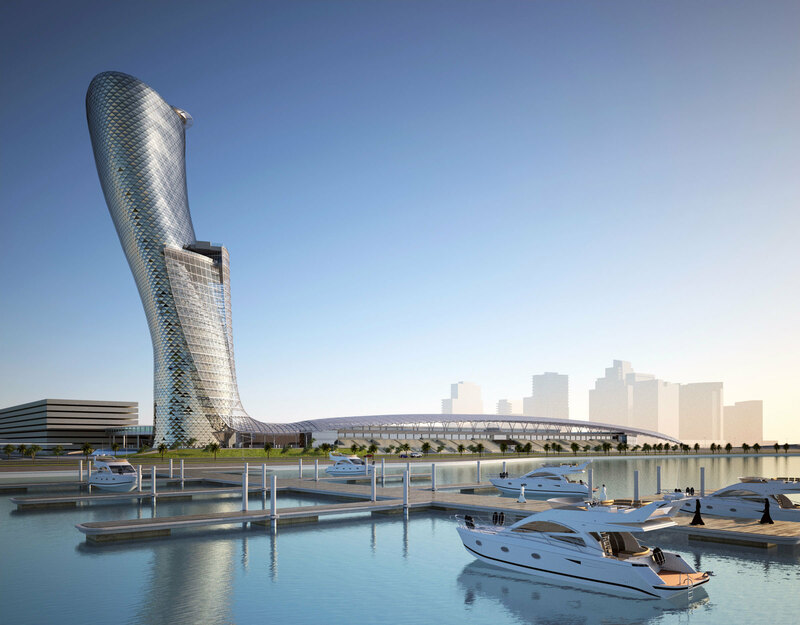 To protect as much of this site as possible and to take advantage of potential views, a high rise solution was adopted, creating a building with four apartments per floor with an integrating central core for vertical circulation.